It all comes down to one square foot. Literally millions of California's egg-laying hens are still locked in battery cages, even though voters were told they had outlawed those cages years ago by passing what was known as Proposition 2. The reason for this failure could not be clearer. It is due to the stunningly negligent drafting errors made by HSUS and its inexplicable refusal to correct those errors prior to putting the measure on the ballot. Refusing to heed the vigorous and repeated warnings of the Humane Farming Association and many others that, if left uncorrected, Prop 2 would fail exactly as it has. HSUS’s response to its Prop 2 debacle, and to the years of animal suffering and consumer deception caused by its refusal to fix Prop 2’s fatal flaws the first time around, is not to go back and do it correctly. 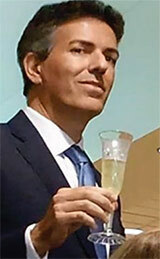 Instead, its disgraced CEO, Wayne Pacelle, just prior to being ousted in a major sexual harassment scandal, rekindled his alliance with United Egg Producers (UEP) and invited it to write a replacement measure consistent with the industry’s vision for the future. 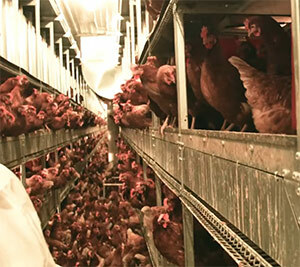 That vision: Tightly packed confinement buildings providing only one square foot per hen. UEP’s partner in this venture, HSUS, has been less candid. It is going to great lengths to obscure the fact that the egg industry inserted its very own pre-existing standards, literally verbatim, into this 2018 redo of Prop 2. The egg industry would not only be allowed, but it would also be incentivized, to construct multi-level egg factories that provide hens with a mere one square foot of floor space. Prop 12 would allow the industry to pack 33% more hens into egg factories than what HSUS promised throughout its entire Prop 2 campaign, as well as throughout the decade that followed. Although voters thought they had outlawed cages back in 2008, this measure would explicitly legalize battery cages until the year 2022. And when that year finally arrives, we can count on the industry seeking to push the date back even further. That is exactly what we all witnessed with Prop 2’s supposed 2015 “deadline” -- which HSUS famously assured everyone was ironclad. And, as it turns out, we don’t have to wait until 2022 to see how tentative and fluid that date is. The industry is already advancing legislation that would push the date back to 2024. Regardless of these ever-changing, never-arriving, deadlines — what each of these measures share is this function: They would each immediately legalize battery cages throughout the state. And they would each allow the confinement of laying hens with as little as one square foot of floor space per bird. If either of these two rotten egg initiatives is enacted, hens would suffer a major reduction in floor space from what HSUS itself had always said Prop 2 required. 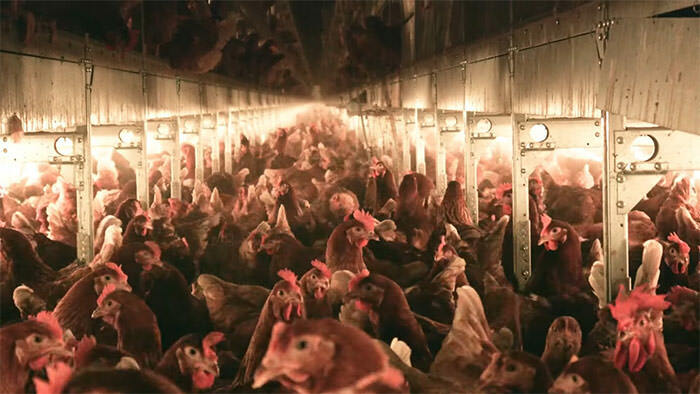 And, after openly ignoring Prop 2 voter intent for all these years -- the egg industry would be rewarded with an ever-increasing number of years to keep tens of millions of California laying hens in battery cages. The obvious challenge for HSUS is how to promote this duplicitous sell-out to the egg industry. Its strategy is to change the subject entirely. For misdirection, HSUS is relying on language purporting to regulate out-of-state producers of pork, and veal. That’s right. HSUS is claiming that it will regulate Iowa pork producers. Just as long as we all agree to legalize battery cages right here in “cage-free California”! No one should fall for these fraudulent tactics. Even in the highly unlikely event that these constitutionally flawed provisions survive the inevitable years of legal challenges, Congress is already in the midst of advancing legislation (HR 2887) that would render all such interstate commerce regulation null and void. In fact, the 2018 Farm Bill already contains amendments to nullify any proposed regulation on the interstate sale of pork, veal, and eggs. Thus, even if approved by voters, the interstate commerce sections of Prop 12 are virtually certain to be nullified before it is even enacted. No amount of wishful thinking about controlling the behavior of out-of-state pork producers can obscure the very tangible harm done if Prop 12 is enacted. HSUS’s reckless exploitation of California’s ballot measure system is putting in grave danger a wide array of existing consumer, animal, and environmental protection laws. The bottom line is this: In 2008, California voters were promised that Proposition 2 would make battery cages illegal by 2015. Based on that belief, voters approved the measure by a landslide. There is every bit as much, if not more, public support for farm animal protection laws today as there was ten years ago. A ballot measure clarifying that battery cages are illegal in California right now would win. As would a measure clarifying that hens must be given more than just one square foot! For more than thirty years, HFA has maintained an unparalleled track record of credibility and accuracy in addressing farm animal issues. HFA’s campaign against factory farming has highlighted the real-world effect of maintaining integrity and core values while pursuing animal protection. It is these core principles that inform our campaigns and which will continue to result in real protections for farm animals. Protect Farm Animals. Please Support HFA!